After two weeks of occupying the ad space at Clapham Common Tube station in London, the Citizens Advertising Takeover Service (CATS) is aiming to take its project to five other cities around the world. 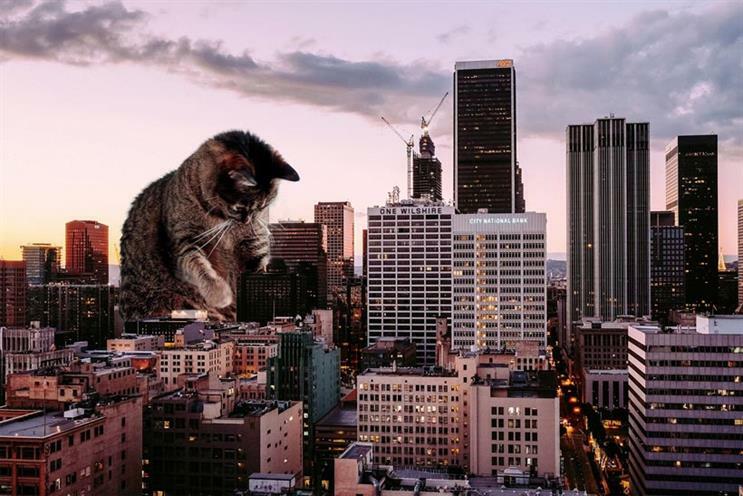 Members of Glimpse, the creative collective behind the cat posters, have made plans to replace ads with photos of felines in Los Angeles, Atlanta, Washington DC, Barcelona and Cape Town. Glimpse creative Alex Daish said: "Since this project started, we’ve had an amazing response from people wanting to get involved. We’re delighted that at least four cities are now going to attempt their own takeover. "We always hoped that this project would help people think a little differently about the space around them, and realise that they have the power to change it. We had no idea it would inspire this many people, and we can’t wait to help these takeovers purr into life." Glimpse has also launched an eBay auction for the escalator panels used in Clapham Common, with proceeds going to Battersea Dogs & Cats Home and Cats Protection UK, which partnered the project. CATS was funded by a Kickstarter campaign earlier this year that raised £23,000. Your best ideas are like orphans. Cherish them.